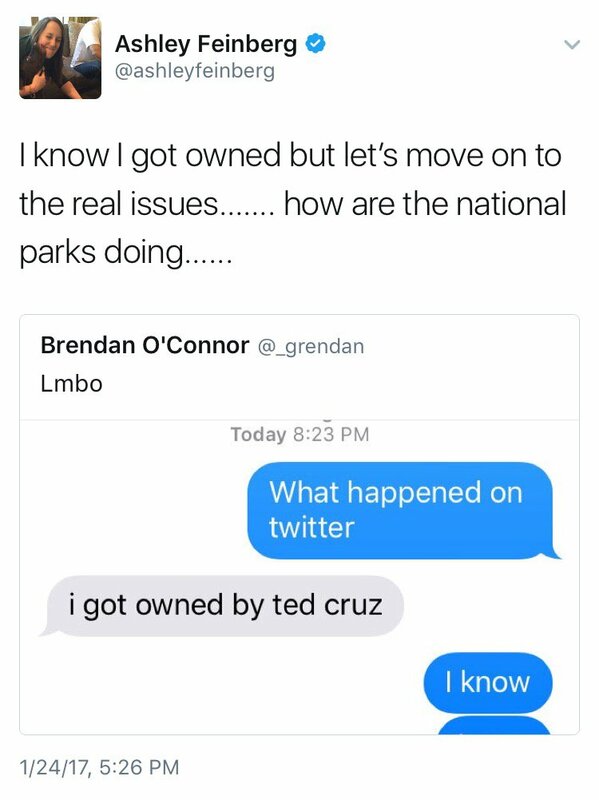 Ted Cruz Owns Deadspin – Must See! 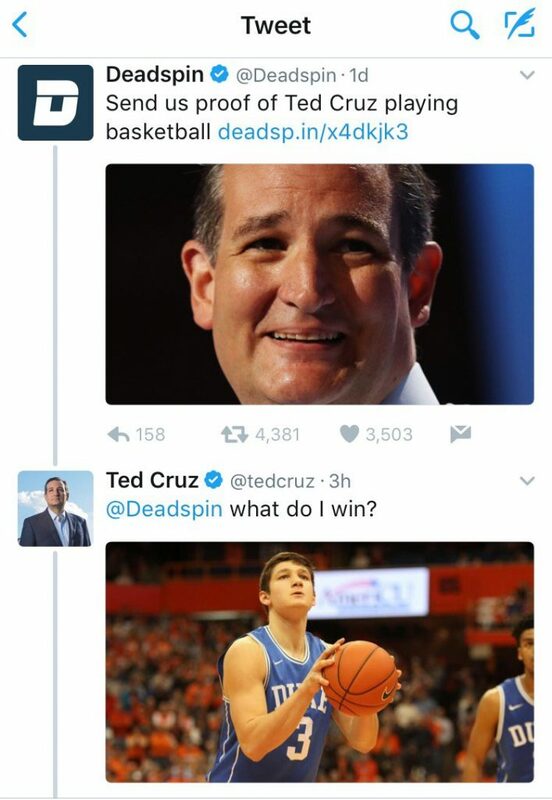 Deadspin taunted Ted Cruz, asking for proof that he has ever played basketball. Then he returns fire and Ted Cruz owns Deadspin. Check it out! The Deadspin writer, Ashley Feinberg, wrote a piece making fun of Ted Cruz for starting a weekly Senate basketball game. Here at Deadspin.com, there’s nothing we love more than sport. So we were delighted to learn that perpetual failed candidate for President, Ted Cruz started a weekly Senate basketball game in hopes of making his colleagues hate him less. Which is great for Ted Cruz, but doesn’t do much for us. We want to right this wrong and share Ted’s love of baskethoop with the world. We want Ted Cruz basketball pics. In the end, Ashley finally admitted to getting owned by Ted Cruz. She posted some screenshots of texts where her friends had some laughs at her expense. It’s good to see she was able to have some fun with the situation. Sometimes it’s difficult for someone to handle being owned like this. Who will Ted “The Zodiac Killer” Cruz target next?